How was real maṣṣāh/מַצָּה made home? This is a recipe⁽¹⁾ for real maṣṣāh/מַצָּה, a basic unleavened flatbread. The result will be soft, pliable, and historically authentic. It should hopefully be identical to what has been baked in Jewish homes for millennia (before commercial “matzah” bakeries transmogrified this bread into crackers). Line the lowest rack in your oven with the tiles. Set the oven to its maximum temperature on the grill setting, around 500° F (260° C). Wait until the tiles have reached the same temperature⁽⁵⁾, about an hour. You can check this with an infrared thermometer. Fill your bowl or stand mixer with the flour and salt. Starting with ½ cup water, slowly pour as you combine it with the flour. Stop adding water once the ingredients are fully integrated and form one complete ball of dough that is soft but not sticky. If it’s too sticky, add a little bit of flour. The final amount of water will vary, depending on many factors, such as flour quality and humidity. 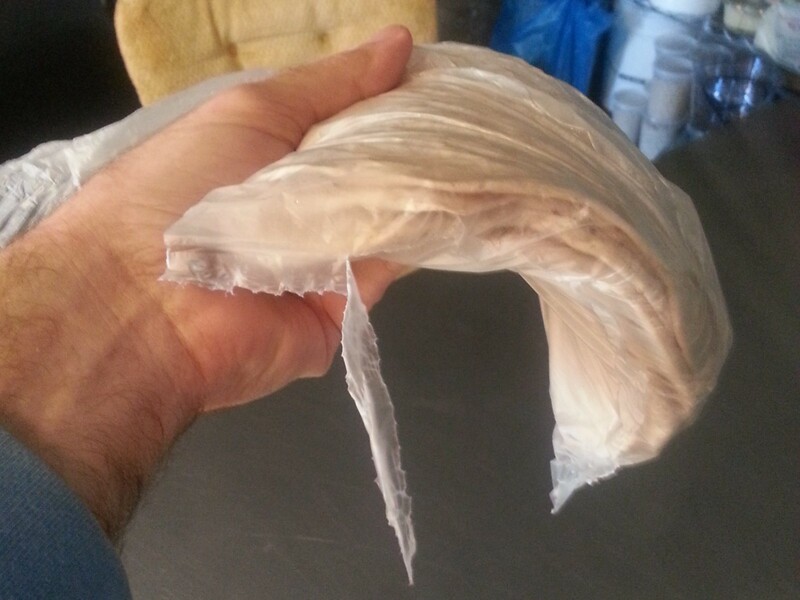 Break off manageable chunks of the dough, between ⅛ and ⅙ of the complete mass, and give to every shaper. Continue to knead the original dough during the following steps. Shaper(s): Shape the dough into a flat thin circle, either by hand or with a rolling pin. Place the circles onto the hot tiles. Baker: Monitor the dough in the oven and and bake each side until darkened, about 1–2 minutes per side. Air bubbles are normal. Cool flatbreads inside a folded tea towel. If there is dough left, repeat steps 4–8. Bag and store flatbreads in a cool environment. 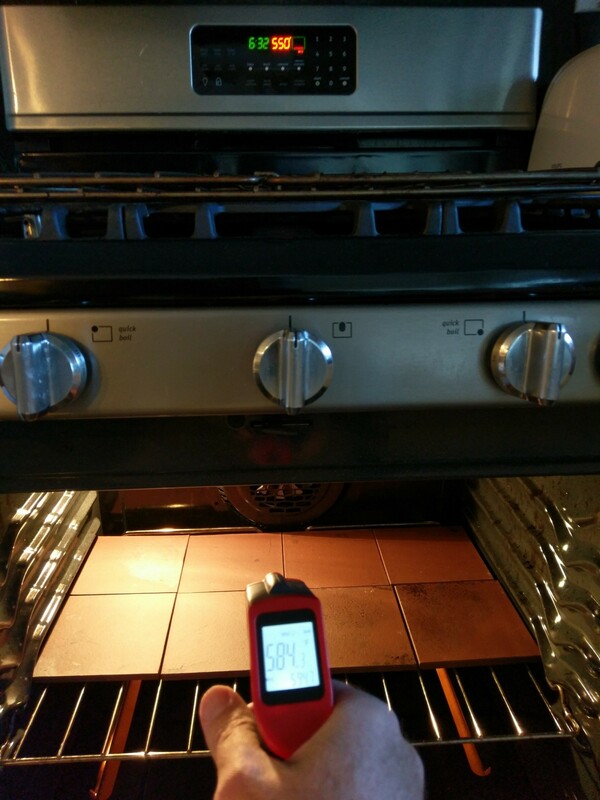 About an hour after your oven has reached its maximum temperature, your tiles will reach their own. Bake the flatbread for 1–2 minutes per side. 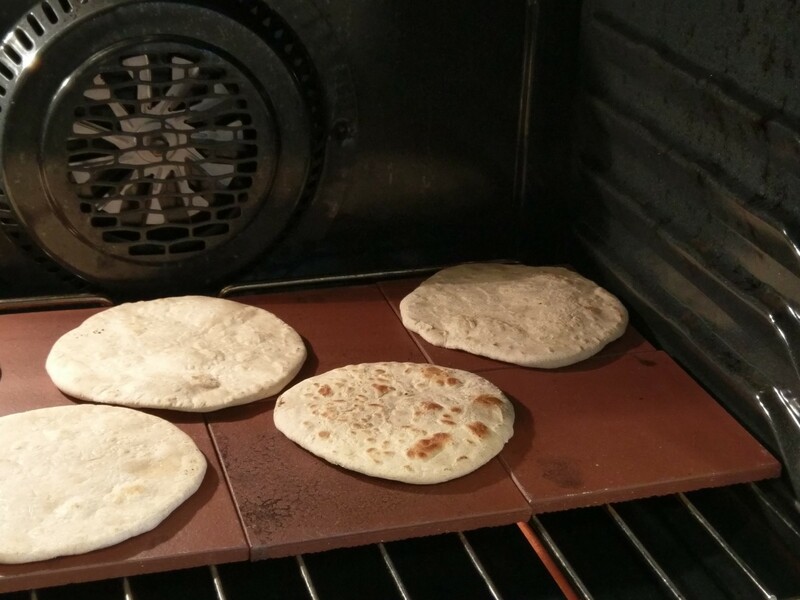 Result: soft flatbread for Passover!